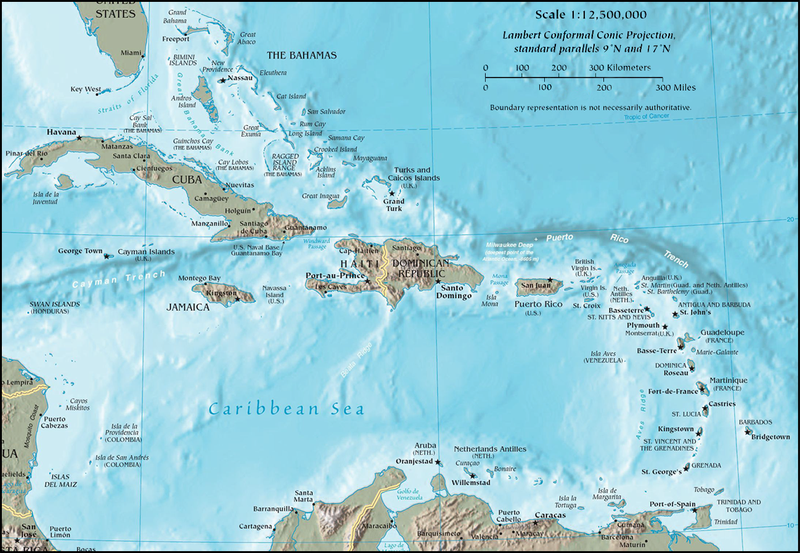 The Caribbean is identified by wikipedia as a "group of islands more than 2,000 miles (3,200 km) long separating the Gulf of Mexico and the Caribbean Sea, to the west and south, from the Atlantic Ocean, to the east and north. From the peninsula of Florida on the mainland of the United States, the islands stretch 1,200 miles (1,900 km) southeastward, then 500 miles (800 km) south, then west along the north coast of Venezula on the South American mainland." It is believed that there are 7000 islands that make up what is referred to as The Caribbean. While this is amazing to even me, it is often very distressful for Caribbean natives when individuals with limited knowledge about the islands assume that every native Caribbean person they meet is from "Jamaica." While Jamaica is a beautiful island with beautiful people and a rich culture, there are many Caribbean transplants from islands such as: Trinidad & Tobago, Haiti, the US Virgin Islands , the British Virgin Islands, Puerto Rico, the Bahamas and hundreds upon hundreds more. A publication of the Population Reference Bureau entitled Immigration and America's Black Population by Mary Mederios Kent found at http://www.prb.org/pdf07/62.4immigration.pdf stated that, "In 2005, two-thirds of the 2.8 million foreign-born blacks were born in the Caribbean or another Latin America country and nearly one-third were born in Africa. Another 4 percent (about 113,000) were born in Europe, Canada, or elsewhere." There is much to learn about the diversity of the Caribbean culture. It is facinating to discover the little known facts about the history of migration to the islands, the blending of the ethnicities, fusion of the customs, music and foods. Join us in our discovery of THE CARIBBEAN!